Dave got what they deserved. And it could happen to you next! 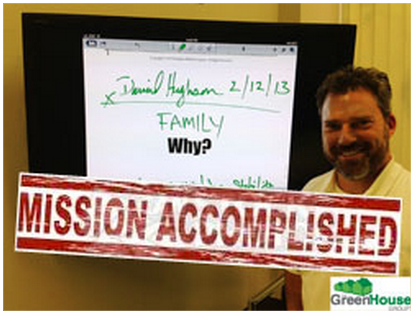 Dave H.’s Celebration & Testimonial of The GreenHouse Group. Once upon a time there was a familiar face in The GreenHouse Group, our very own Dave H. Mortgage Planning extraordinaire. 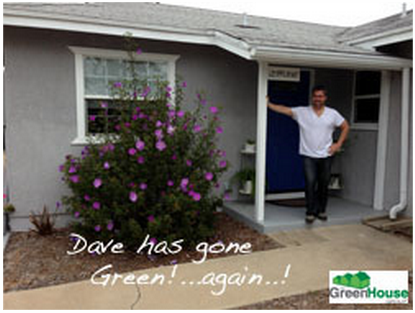 Every day Dave poured his heart & soul into helping others get into homes, and longed for the day that he could return to owning a home for himself. One day, after years of discipline and hard work, the moment had come where Dave plugged his own numbers and realized he was there! 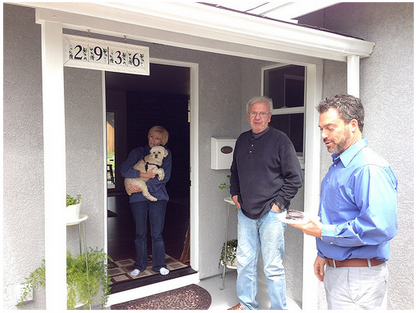 Because of that, we sat down & determined what the optimal home would look like, and why. But it wasnt until a beautiful family home came up in coveted West Clairemont that Andrea was able to get a showing for BEFORE it even hit the market that we found “the one.” Until finally, some crafty negotiations, some critical maneuvers on timeframes and Dave was in! Not only a home anyone could dream for, but, a first generation family who sold the home to Dave made it extra special as they took a liking to the charismatic man behind the contract sharing with us the priceless stories and photos of the home’s history as well. Celebration Day! Keys in hand – 1st day of the rest of his life!